Get the ultimate, 1-hour, escape game experience in the Seattle area. This adventure brings fantasies and movie scenarios into real life. Experience each theme, specially designed and crafted by talented interior and industrial designers. 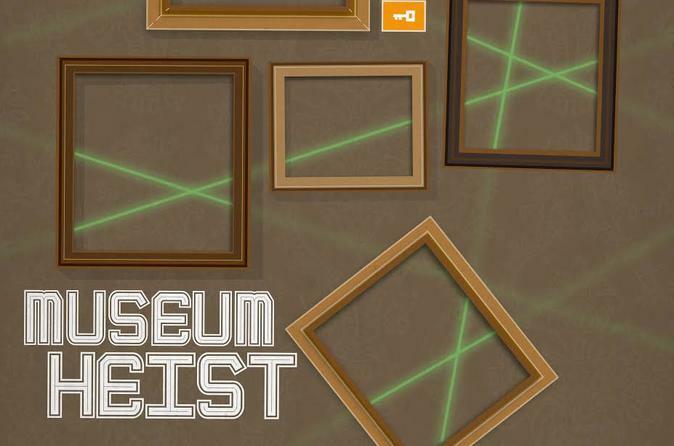 In this Museum heist-themed escape game, you’ll play a notorious art thief who takes on one last job before your retirement. Come prepared for a challenge when you join this escape game: a perception, speculation, and analysis game. You’ll be locked with your friends to solve a series of puzzles and riddles in order to escape the room within a particular time limit. Pair up with four to eight players for an hour, and attempt to solve the game, known for having a 26 percent success rate. Game synopsis: You’re a notorious art thief who is considering one last job before your retirement. One day, an anonymous letter arrives with details of the highly regarded art auctioneer, Mr. Voxman, who has been involved in trading arts through black-box operations. You’ll find out from the letter that Mr. Voxman is hiding all of his valuable arts in his intricately designed, personal museum. The mission states that you are required to find and retrieve the most valuable artifact in the secret museum. An informant has let you in but the security system will be re-enabled in 60 minutes. Your challenge: succeed before time runs out.